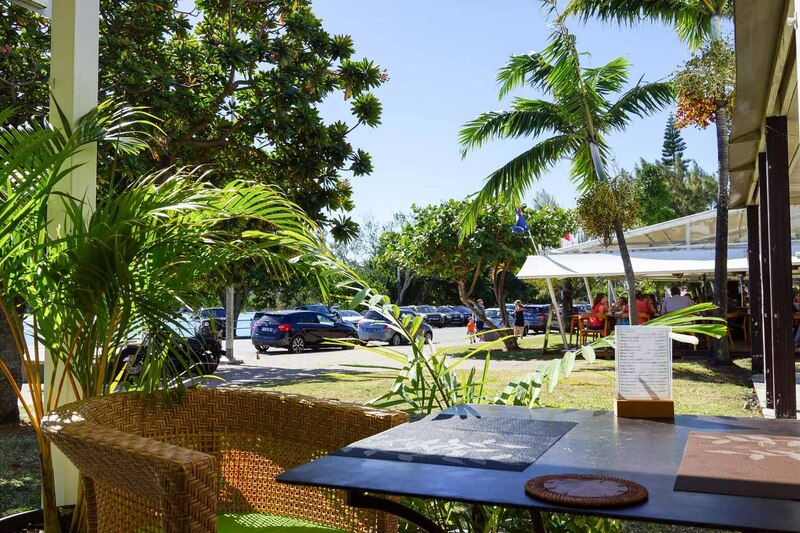 Our 2017 Noumea feeding frenzy starts at L'Agora in Baie des Citrons. 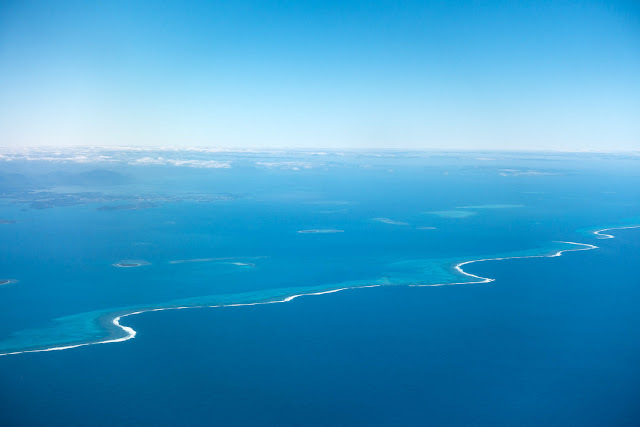 We've been to Noumea so many times our stomachs start rumbling when we see waves breaking on the outer reef as our plane descends. We've prepared by not eating on the plane, it's always best to land hungry. We planned to hit Amadeus for our first feed of the trip, but dang it had closed down, a real shame because it was one of those little owner-chef joints we've come to favour. 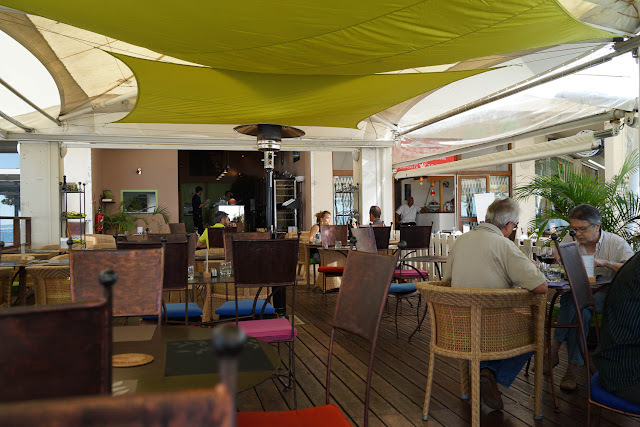 But oh well, we'll just have to eat by the waterfront as per tradition. 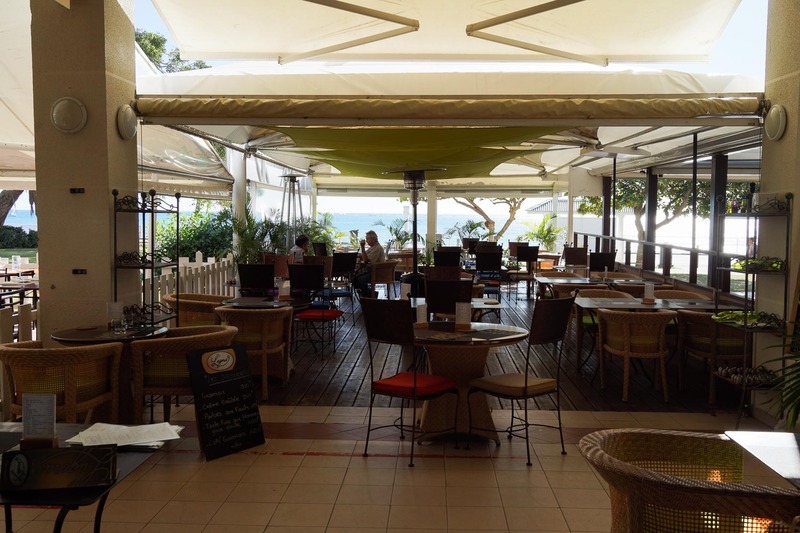 We waddle along the beach to the bar/resto strip at Baie des Citrons. There's been a few closures along here since last year. Most notably Jaguar the Pussycat has closed Astrolabe and headed for fishier pastures. 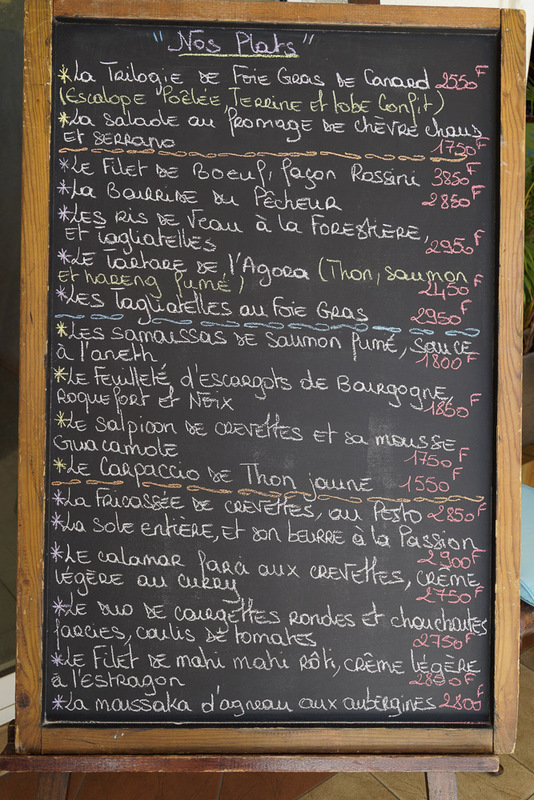 We wanted to repeat our last u-beaut meal at O'Boucher but we feel the need to try the new L'agora. There's nothing like the first beer of the trip, like a smoker's first durry of the day, it lights up the brain like no other. 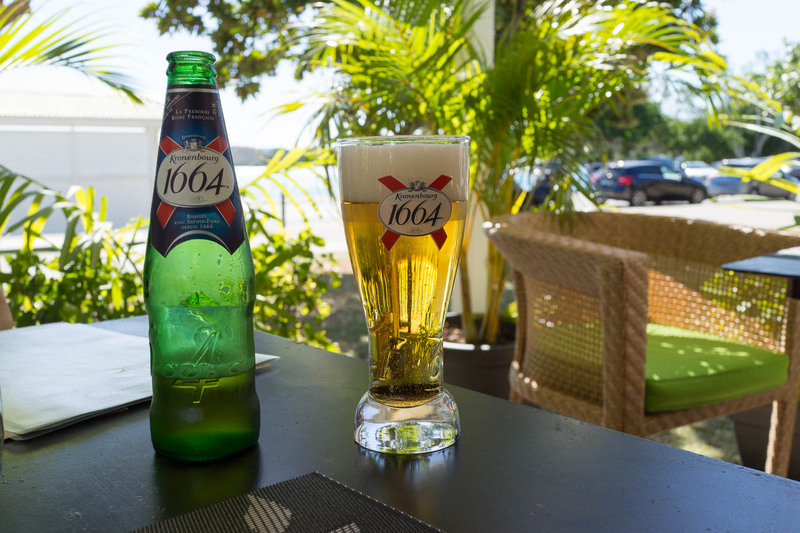 Our hearts were set on a draft Manta or Number 1 but L'agora is kegless, we'll just have to make do with Kronenberg, which is French for VB, it's a tough life. L'Agora has a spaceous, breezy, outdoor setting like all the joints along this strip. 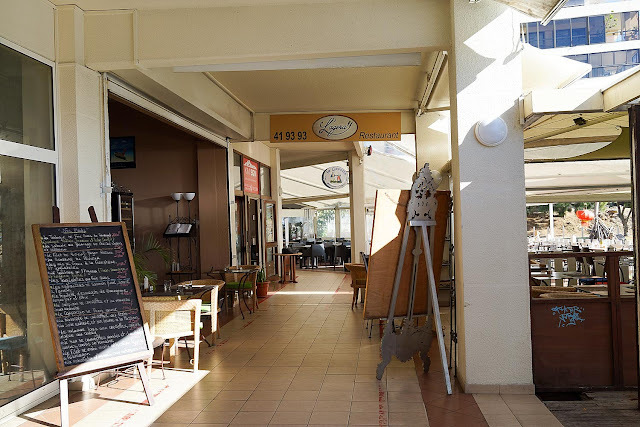 It's typically Noumea casual - laidback and loose, such a pleasure after the intensity, claustrophobia and fadism of Sydney mid-range dining. 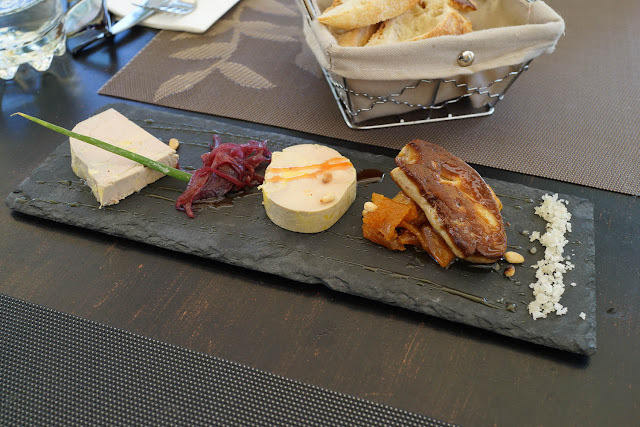 Foie grais three ways (xpf 2,550/about $AUD 30) makes us extra happy. 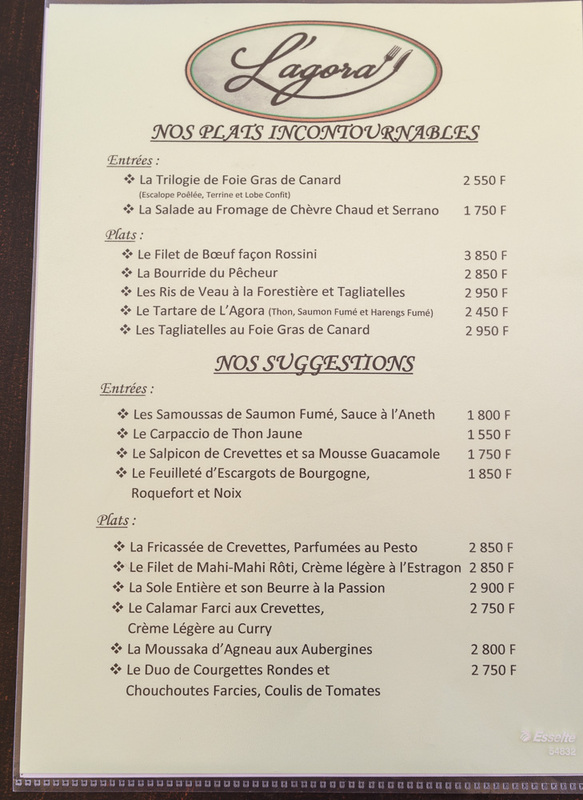 Foie grais comes in a myriad of forms and excuse us for not knowing the lingo - but one is like soft mousse, another is like a firmer pate, and the one on the right we think is fresh and pan fried. A magical start to the holiday. 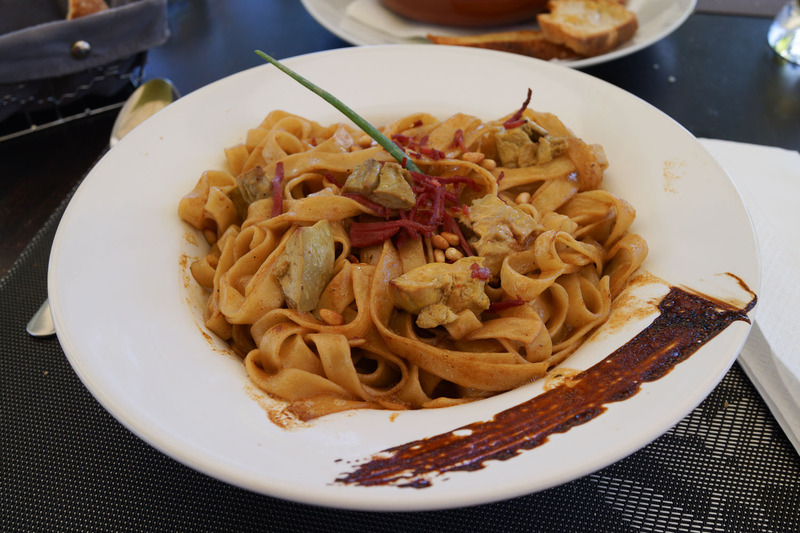 We double down on foie grais, this time with pasta. There's chunks of pan seared liver, pine nuts and a coat of olive oil, oh boy. Sadly the pasta is undercooked, we guess a minute or two from al dente, floury and almost crunchy in places. 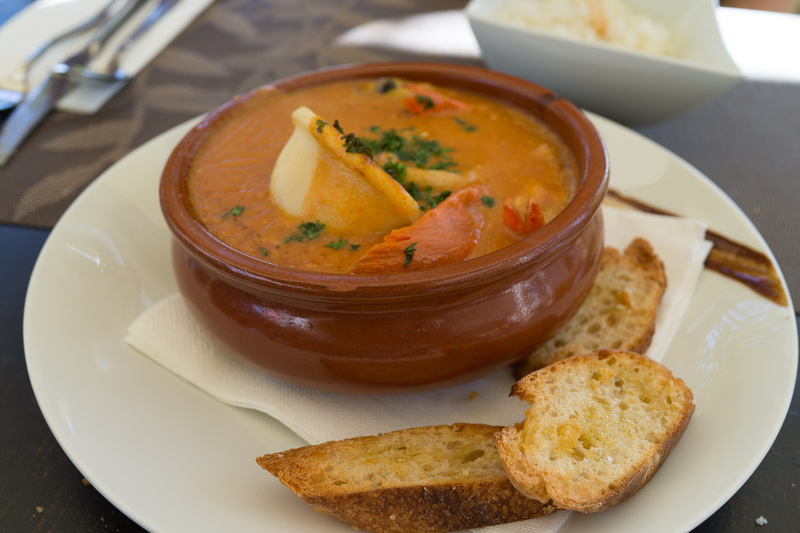 It's a shame because it would have been a corker of a dish. We should have sent it back, instead we've committed the ultimate diner sin which is complaining to the internet rather than the restaurant. Sorry about that. Sometimes complaining seems like more hassle than crunchy pasta. You've been there: you're having a spanking good time, maybe you've got some jaunty conversation and a booze-buzz going. Complaining can only bring the mood down. Best case scenario is you'll get a replacement dish in ten minute's time that you don't really want because the moment has passed. It's a no-win situation. First world problems. The fish soup was a corker, it had that classic French fish soup flavour freshened and livened up with sweet potato, a nice balance of flavours along with generous hunks of fish and tender squid (easier said than done). Happy Pappy. L'agora is in the cluster of beach-side bars and restos at 27 Promenade Roger Laroque-Baie des Citrons, Noumea.